The District of Tofino and the Tofino-Long Beach Chamber of Commerce are pleased to present Invest Tofino – Community Profile. This document contains the information you need to make the decision to relocate yourself, your family and your business to Tofino. As Tofino Mayor Josie Osborne states in her introduction to the Community Profile, Tofino is a community surrounded by nature – within and surrounded by Tla-o-qui-aht Tribal Parks, part of the UNESCO Biosphere Reserve and next door to Pacific Rim National Park Reserve. This setting has a profound impact on the community: “Our respect and care for the natural world and the people around us has continually been demonstrated and encouraged by the Nuu-chah-nulth people who first inhabited these lands, who still live here and welcome those of us who newer to this place, and who continue to work hard to flourish and prosper in accordance with the teachings and laws of their ancestors.” That knowledge is reflected in the Nuu-chah-nulth principle of iisaak (respect with caring) and hishuk’ish tsawalk (everything is connected). 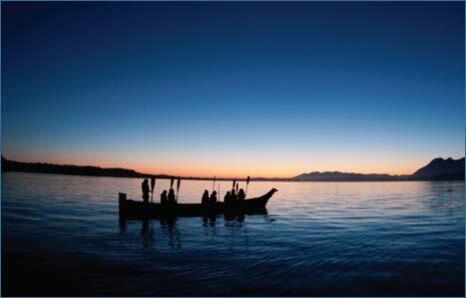 The Community Profile seeks to provide information that is fundamental to the community of Tofino. How many people live here year-round? What kind of work and business opportunities exist? What kind of recreational, cultural, and learning activities are available? While the community has faced challenges over the years, the entrepreneurial spirit is alive and well in Tofino. Over 600 business licenses are issued annually to a full-time population of roughly 2,000 people. Small independent businesses, many geared towards tourism, form the backbone of the local economy, and many non-profits organizations exist to enrich everything from arts and culture to animal welfare.